Man campus sure has changed in the last 10-15 years. I graduated from Alabama in the spring of 2012 and was last on campus there in April 2013....until the 2017 Fresno State game. I could not believe how much has changed. The southern part of campus was virtually unrecognizable to me. I graduated in 2006. It’s barely recognizable and I go back a couple times each year. 2010 here, and yeah it feels like a completely different campus now than it did just 10 years ago. Basically everything South of University and everything Northeast of the Quad/North and East of Hackberry is different. The buildings are all either new or have been renovated to the point that they might as well be new. The old biology building was still there the last time I was in town, but I think I read that it's being torn down and replaced too. It's nicer, but also kind of weird at the same time. It doesn't feel like the place I went to school at anymore. 97 here. The Quad area is the only part of campus that looks the same from when I was a student. I grew up in Tuscaloosa as well, and regularly get lost on campus anytime I'm back now. I graduated in 2004.....other than the immediate area around the Quad it's almost like a new campus. Hell Tut's is even gone now! Man Tuts was the shite. Lived on Reed St when I was in school and always stopped by there to get a good philly cheesesteak. Phillyboyz isn't bad either, but I miss my chicken parm from Tuts. Miss Tut’s, Cheap Shots, International Deli then El Rincon. I finished in December of '93. I go back for every home game plus catch a few baseball games when possible. The Quad is the only place I can recognize. Back then, once you got past the Ferguson Center, there was nothing but trees all the way down to the river. Not like that anymore!!! I miss that place. The only bar I've ever been to that would make a Jagerbomb pitcher. For a fee. Back then, once you got past the Ferguson Center, there was nothing but trees all the way down to the river. Well, and the pool and the amphitheater. Radio Free Tuscaloosa was always a blast back then. Somehow paty is still standing although I think it’s getting renovated too. It's getting a massive renovation. It finally failed all of the mold health inspections. 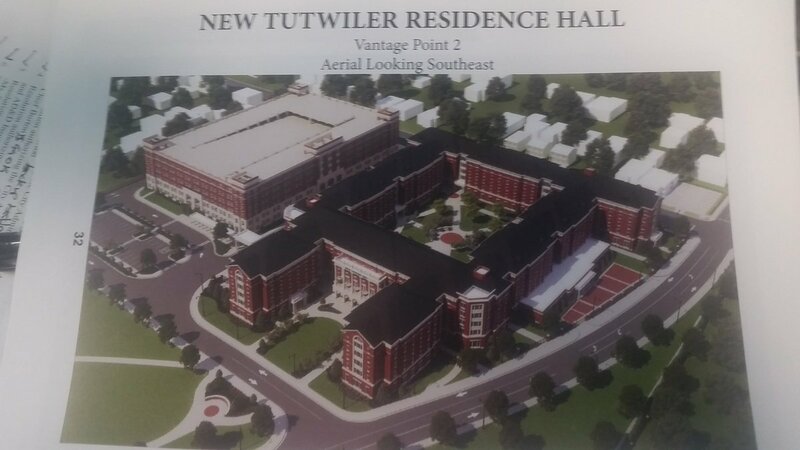 I think the new Tutwiler Hall looks beautiful. I like that the plan is to make it look in harmony with the rest of the campus. It doesn't feel like the place I went to school at anymore. Same here, but going to the steps of Gorgas and looking around.... the Quad and it's surrounding buildings really haven't changed in ages... at least that's what my Dad said and he went to school here in the 50s.